Strawberries are grown for industrial purposes, as well as an ornamental plant in gardens. Berries can be eaten straight from the bush picking, as well as the consumption of processed or frozen form. Berries used in jams, syrup, juice, liquor, confectionery, etc. manufacture. 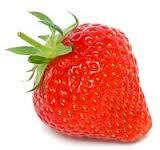 Strawberry is beneficial to health, including a wealth of nutrients, minerals, vitamins and amino acids. Our berries come from Russia, Finland and Estonia. All of our berries are picked by hand and cleaned and frozen for later handling. Our production is packed according to customer requirements.